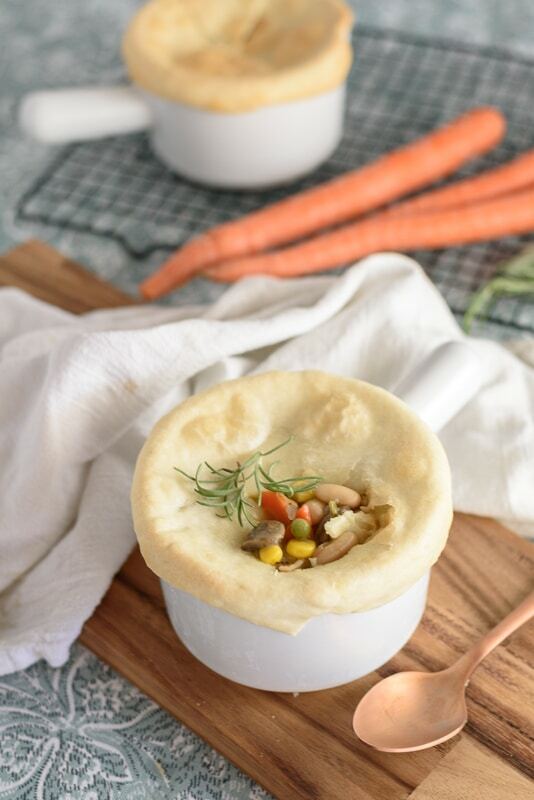 These vegan pot pies are the perfect centerpiece for your holiday feast. 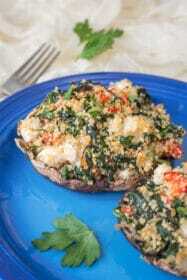 Loaded with fresh veggies in a creamy sauce and topped with a layer of perfectly flaky pie crust. 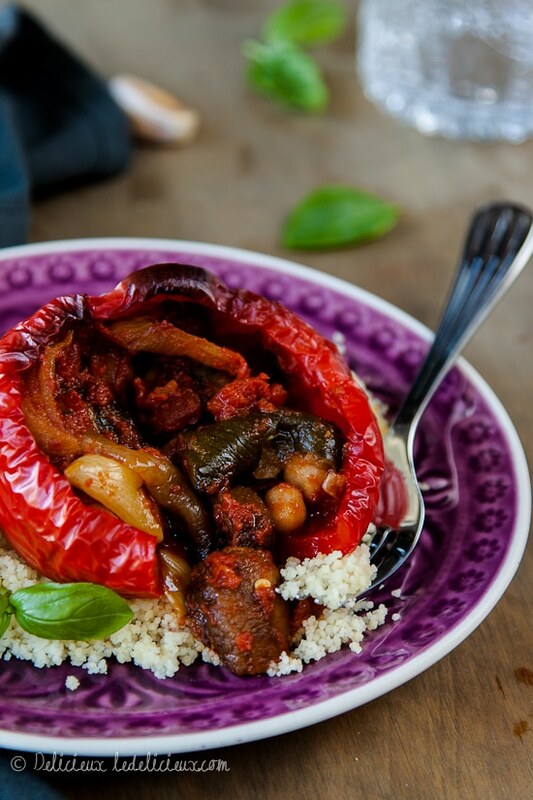 This is a meatless main dish that’s sure to be a crowd pleaser! Can you believe it’s November already? The holidays are truly my favorite time of year. I honestly don’t even mind when the shops start playing Christmas music before Halloween. I’m totally ready. And if you’re anything like me, you know the best part of the holiday season is the food. All the food. So this weekend, I decided to create a brand new dish that’s just perfect for those upcoming holiday feasts. 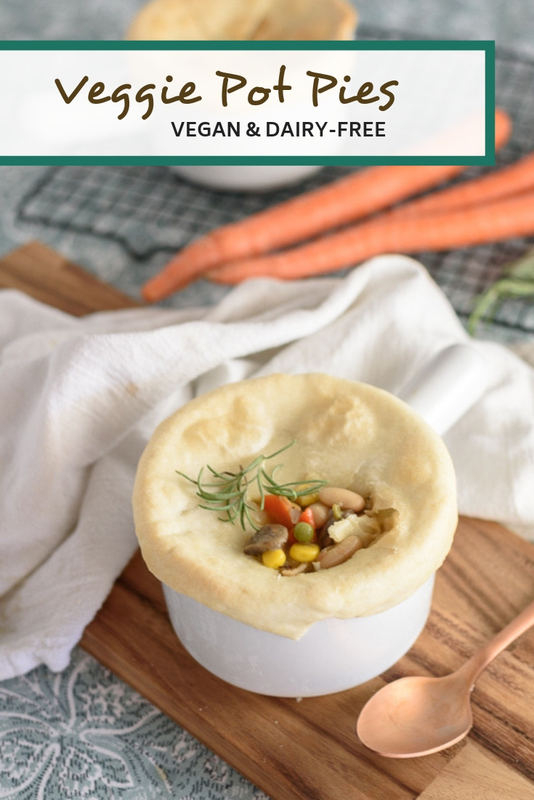 These vegan pot pies are loaded with flavor from fresh veggies and topped off with a beautiful, crunchy crust. 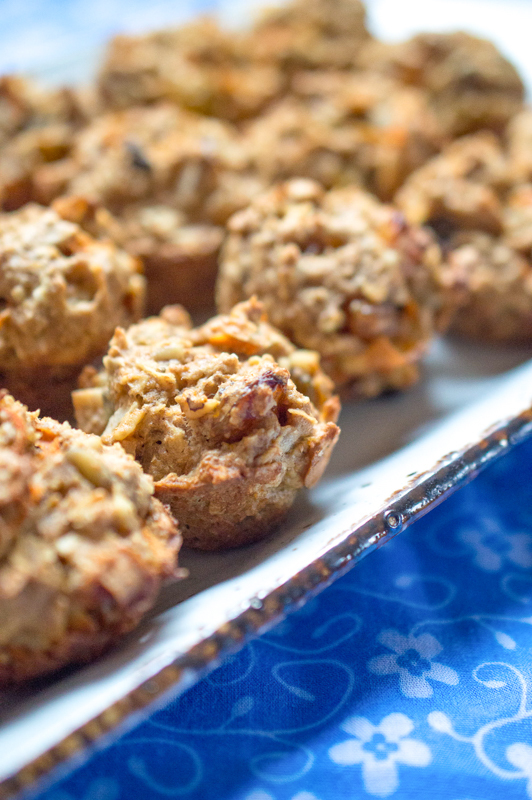 They are definitely a crowd pleaser – and would make a perfect meatless main dish for Thanksgiving or Christmas. 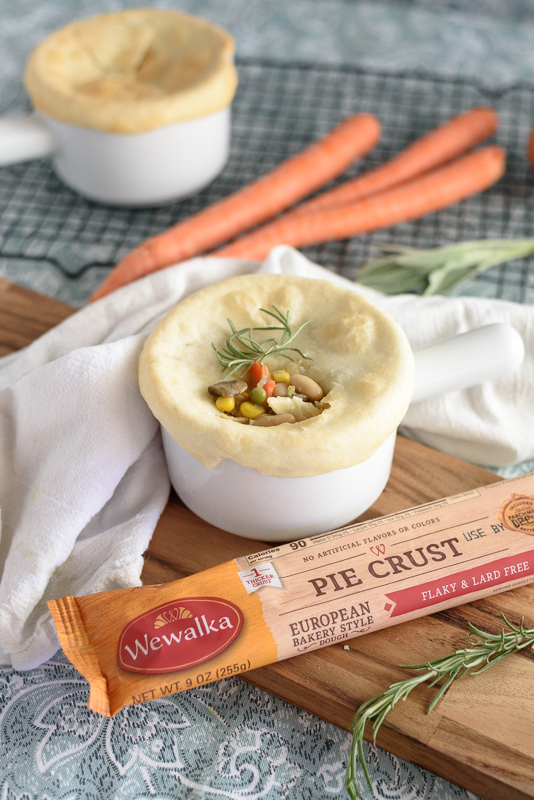 For these vegan pot pies, I had the opportunity to try out Wewalka Pie Crusts, and I couldn’t be more in love. The crusts came out perfectly golden and flaky, and totally delicious. If you’re not already familiar with Wewalka (pronounced “VAY-vuh-kuh”), you need to check them out right now. Wewalka makes a fantastic line of European bakery-quality refrigerated dough that is perfect for all kinds of dishes. 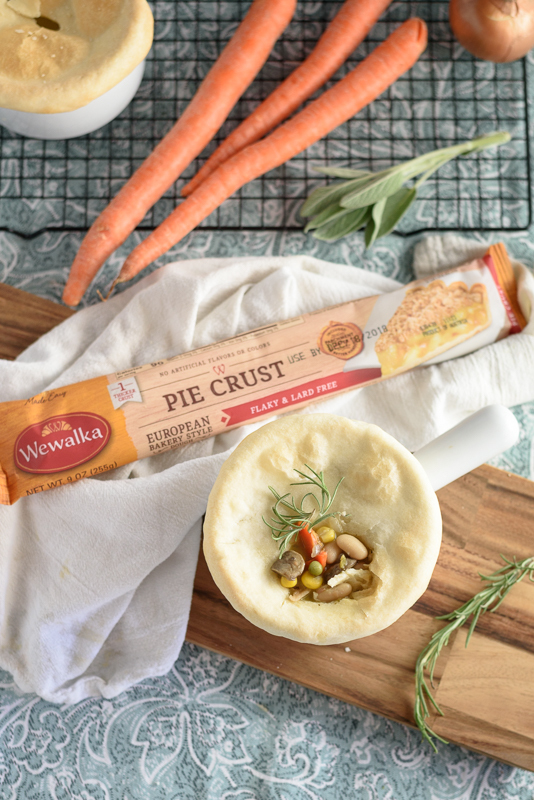 In addition to the pie crust I used for these pot pies, Wewalka also makes a Puff Pastry, Flat Bread, and two different types of pizza dough (Classic and Bistro Style)! And they have a great recipe section on their website. I can’t wait to start experimenting with all of these. I also love that Wewalka products use high quality ingredients with no artificial flavors or colors, so I can feel good about feeding them to my family. And everything they make is 100% vegetarian-friendly also! What more could you ask for? 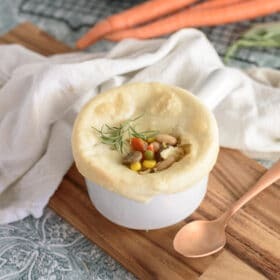 You won’t believe how simple these vegan pot pies are to pull together! It only takes about 30 minutes to get them prepped and into the oven – so you can get a fantastic main dish on the table without spending all day in the kitchen. Before you get started, take the pie crust out of the refrigerator and let it sit at room temperature for at least 20 minutes. It will be much easier to work with this way. You can begin to prepare the pot pie filling while you wait! Start off by preparing the pot pie filling. You can use just about any combination of veggies that you like. I used a mix of carrots, mushrooms, onions, peas, and corn. And of course, a jalapeno for a little bit of spice! After sautéing the veggies and some fresh herbs in a bit of olive oil, I added cannellini beans to the mixture. 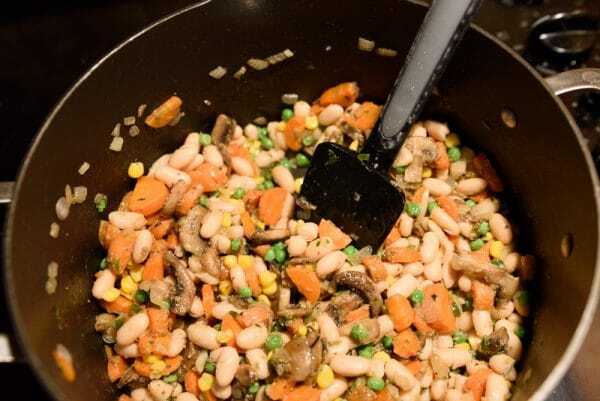 The beans make the meatless pot pie filling nice and hearty. 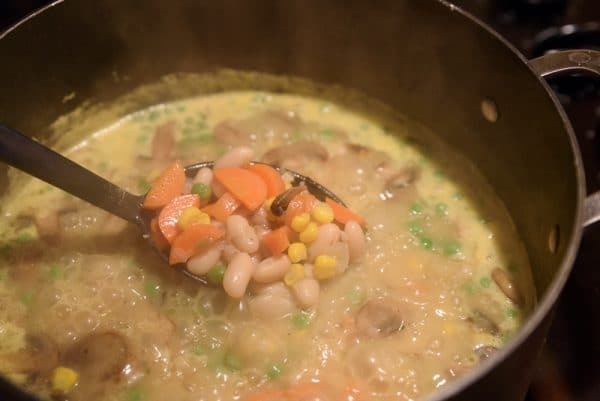 I suggest mashing about half of the beans before adding them to the pot – it will give the filling a rich, creamy texture. Next, I added a flavorful vegetable stock and brought everything up to a boil for a few minutes. You can season the veggies with a bit of salt and pepper, to taste. Next, comes the pot pie crust. 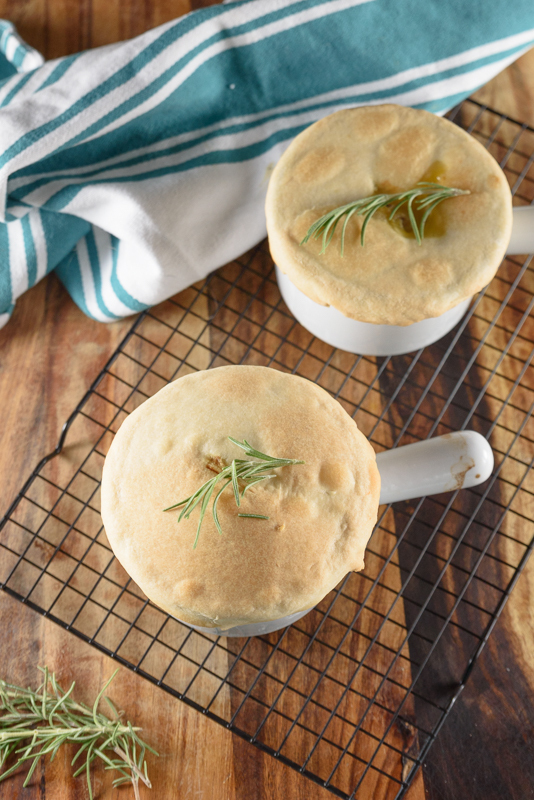 You’ll need large, oven-safe ramekins to bake and serve your individual vegan pot pies. I used the soup bowls you see in the pictures below. Anything that is a similar size and oven-safe will work just fine! Unroll two sheets of Wewalka pie crust, and place your ramekins on top. Use a sharp knife to cut out a piece of pie crust that is slightly larger than the dish. Then, fill your ramekins with the vegan pot pie filling and top each one with a piece of the pie crust, pressing down on the edges to seal. 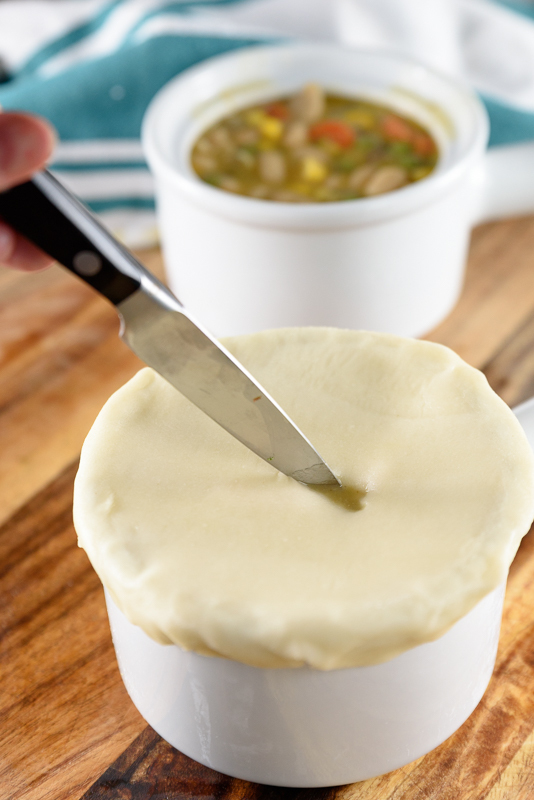 Use a sharp knife to cut a small slit in the top of each pot pie – this will let the hot air escape as the pies bake. Then, simply bake the pot pies for 20-25 minutes at 350 degrees. When the pie crust is flaky and golden brown, the pot pies are done! Don’t forget to check out all the fantastic refrigerated doughs from Wewalka. They would be great additions to so many of the recipes on this blog – like this vegan mushroom wellington or these Thai curry puffs. Remove pie crust from refrigerator, and allow to sit at room temperature for a minimum of 20 minutes. You can begin preparing the pot pie filling while you wait. 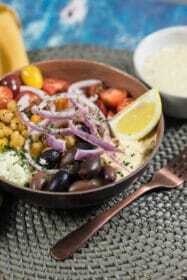 Pour the cannellini beans into a medium bowl. Use a potato masher or the back of a fork to mash the beans until roughly half of them are smashed. Set aside. Heat 2 tbsp olive oil in a large non-stick pan, over medium-heat. 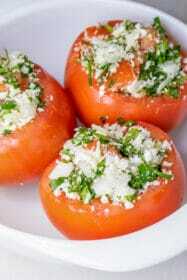 Add onion and jalapeno pepper, and cook for 2-3 minutes. 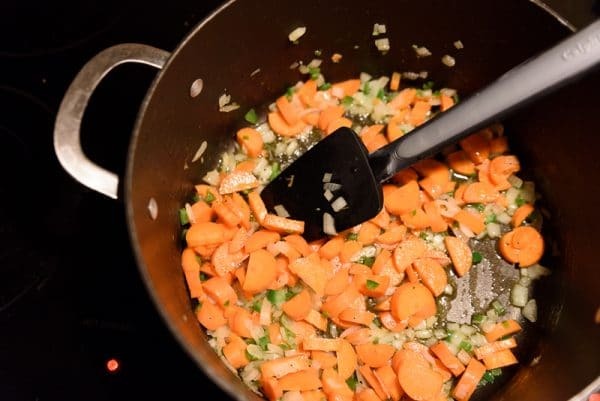 Add carrots and cook for additional 5 minutes, until softened. Add mushrooms and cook for 2-3 more minutes. Add another 1 tbsp of olive oil, salt, pepper, thyme, rosemary, and garlic. Cook for additional 1 minute. Add flour and stir for 30 seconds. Add the beans to the pan, and stir. Then add the vegetable broth, and bring to a boil. Reduce heat and simmer for 5-10 minutes, until the liquid is slightly reduced. 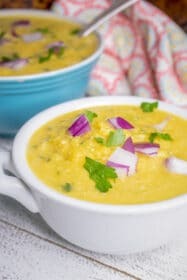 The mixture should be a thick consistency, like a thick soup or chowder. If the filling seems to thin, continue cooking until it reduces further. Stir in the almond milk and cook for additional 2-3 minutes. Remove from heat. While the filling is cooking, prepare the crust. 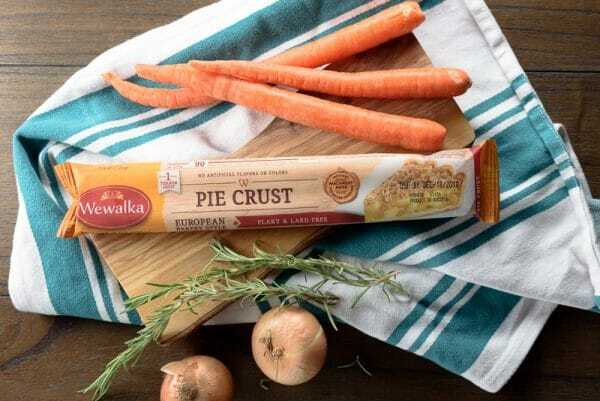 Unroll two sheets of Wewalka pie crust on a cutting board. 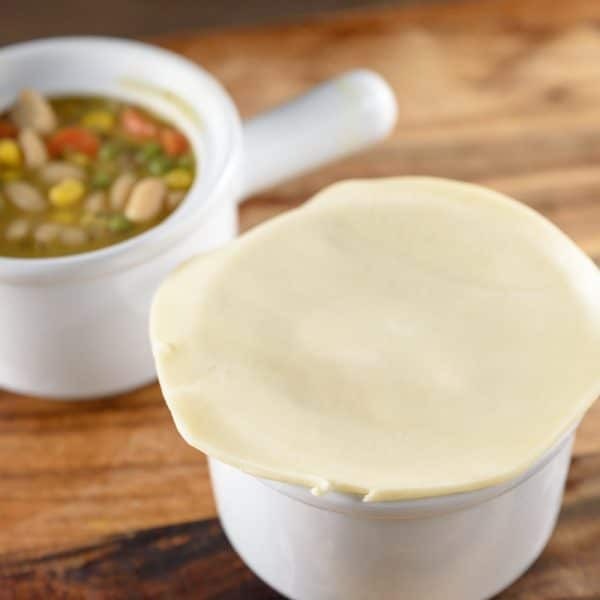 Select four ramekins, or similar oven-safe dishes for serving the pot pies. Place one of those ramekins on top of the pie crust. 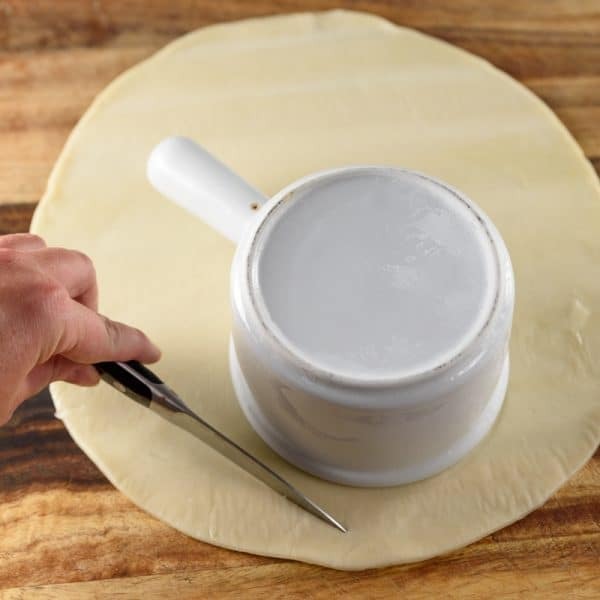 Use a knife to cut a circular piece of pie crust that is slightly larger than the top of the ramekin. Repeat this process, cutting out a piece of crust for each of the four ramekins. Fill each ramekin to the top with pot pie filling. Place a piece of pie crust over top of each ramekin, pressing the edges down to seal. 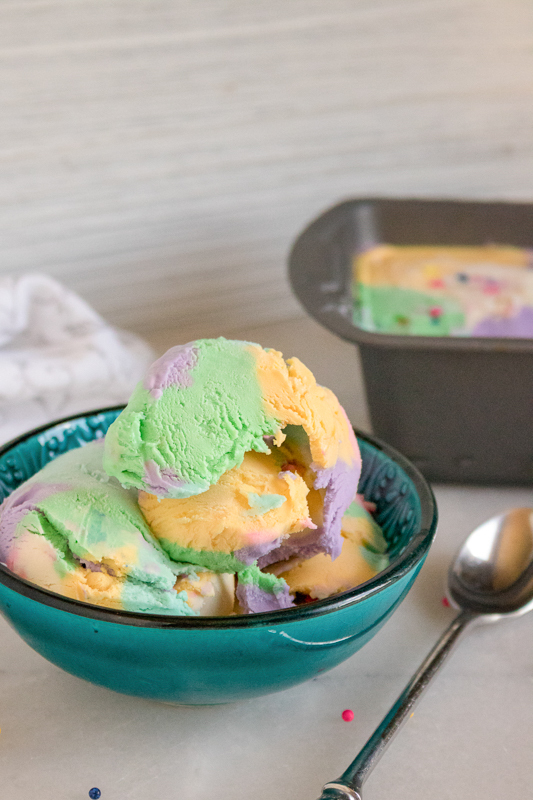 Place the ramekins on a baking sheet, and bake in the oven for 20 minutes. Pot pies are finished when the crust is golden and flaky. 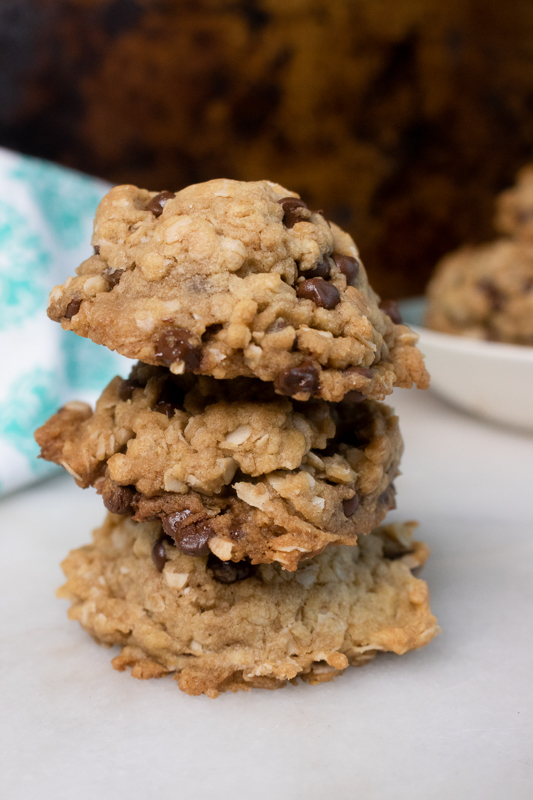 Yummy and Delicious recipe! !I will also try this.